Initially, Rob Caughlan had raised money to have Adrian Malone produce a television series about international environmental issues based on The Global 2000 Report to the President. 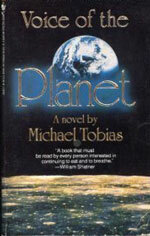 Michael Tobias was then hired. However, due to illness, Malone dropped out. So the project morphed into making a 10-hour dramatic mini-series based on the Tobias novel of the same name, instead. Caughlan, as a General Partner, then assembled the additional needed funds and resources, including talent (William Shatner) and broadcaster (Ted Turner). 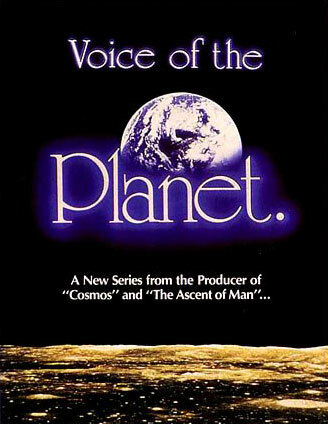 Voice of the Planet begins with a cryptic message from Gaia (sent via computer) which in turn leads a university professor (pplayed by Shatner) to a monastery high in the Himalayas. There he encounters Gaia (played by Dunaway), the spirit of the living earth. What follows are episodes of human history in Earth's evolution. The overall reason for the story is the advancement of the Gaia hypothesis (aka Gaia theory, Gaia principle) which proposes that all living organisms co-evolve with their environment. This evolutionary connection forms self-regulating and complex systems for maintaining life on earth, such as global temperature, ocean salinity and oxygen in the atmosphere. Gaia is from Greek mythology (Terra in Roman mythology) and she personified Earth. As one of the immortal deities that existed at or from the beginning of time, she played a major role in forming the fabric of the universe. Gaia and her son and husband Uranus (who personified the sky) gave birth to the heavenly gods, the Titans, and the Giants. Gaia and her son Pontus (who personified the sea) gave birth to the sea gods.